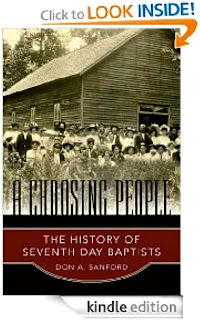 The Seventh Day Baptist Historical Society announces that Don Sanford's A Choosing People: The History of Seventh Day Baptists is now for sale at Amazon in a Kindle edition. 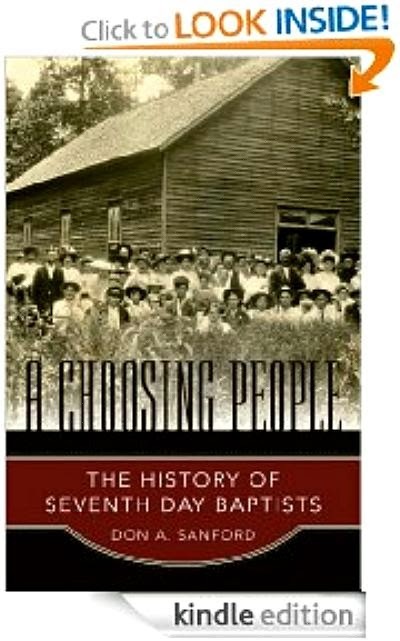 This is both a readable and accurate history of my denomination. I am content with my hardbound edition and so will probably not take advantage of this one, but it is there and almost instantly available.